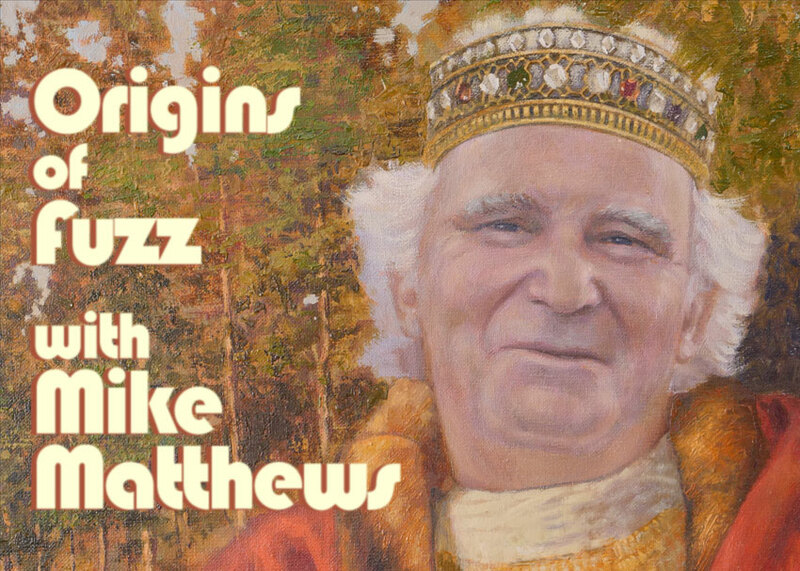 Mike Matthews and his crew of tone-tweakers are up to their old tricks again. 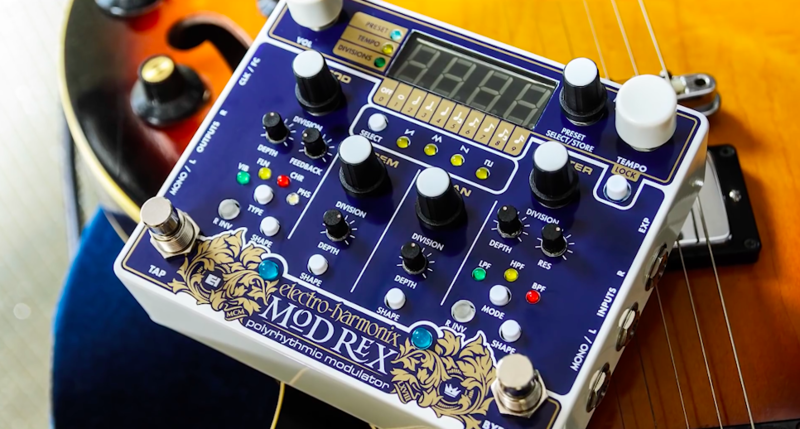 Just today they dropped the latest Electro-Harmonix pedal, Mod Rex, out of the blue. This isn’t the first time a new EHX pedal has appeared out of the ether, but this one is a real doozy! The MOD REX features four independent modulation sections (mod, trem, pan and filter) each with their own presets. These sections sync into nine different note length choices. And because we know you’re going to ask, yes it has tap tempo too. It can even be controlled via an external footswitch. If you’ve got a synth or other piece of gear with MIDI, you can sync the tempo on the MOD REX via MIDI Program Change messages to control any parameter on the MOD REX, letting it slide easily into your synth rack or studio setup. Even if you want to keep it simple, the MOD REX can use MIDI to sync to any external device’s MIDI clock, keeping everything in time. 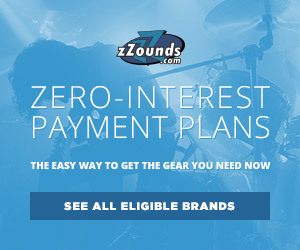 But that’s just a taste of what this pedal can do. 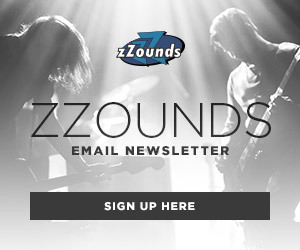 Check out a full rundown of the dizzying list of features and technical details via the specs tab at zZounds!